If you prefer animals with more scales than fur, reptiles are a great choice! Are you getting a new pet turtle? How about a snake? Ever pondered adopting a lizard as a best friend? 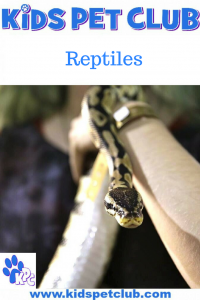 With so many reptiles out there, why don’t you find out more? Snakes are carnivores which means they eat meat, no broccoli for these guys! Snakes are able to flex their jaws to be able to eat huge animals that are much larger than their heads. Snakes can live up to a decade and are part of the Serpentes family of animals. Snakes require heat lamps and/or cooling lamps as they are unable to regulate their body temperatures. They also eat meat like mice and bugs. Some lizards can detach their tails if they are threatened by a predator. there are over 6,000 species of lizard, including the Komodo Dragon and the chameleon. Chameleons are able to change colour to camouflage themselves into their backgrounds. Some species of turtle can live hundreds of years. Despite popular belief otherwise, turtles can feel their shells and some like to pet gently! Some turtles lay their eggs in the sand on the beach to hatch, and some lay eggs with leathery outsides.